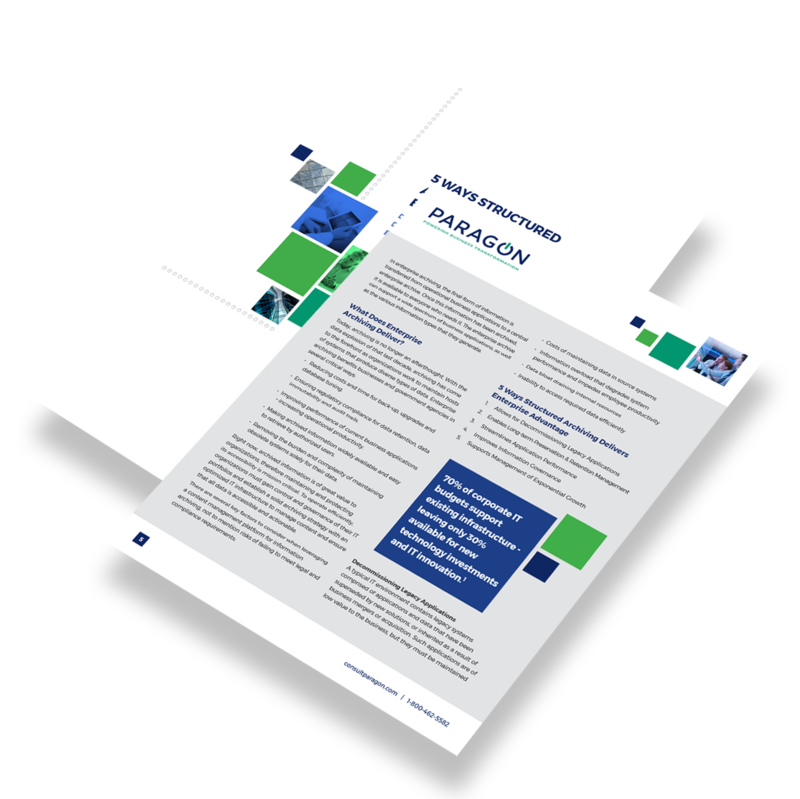 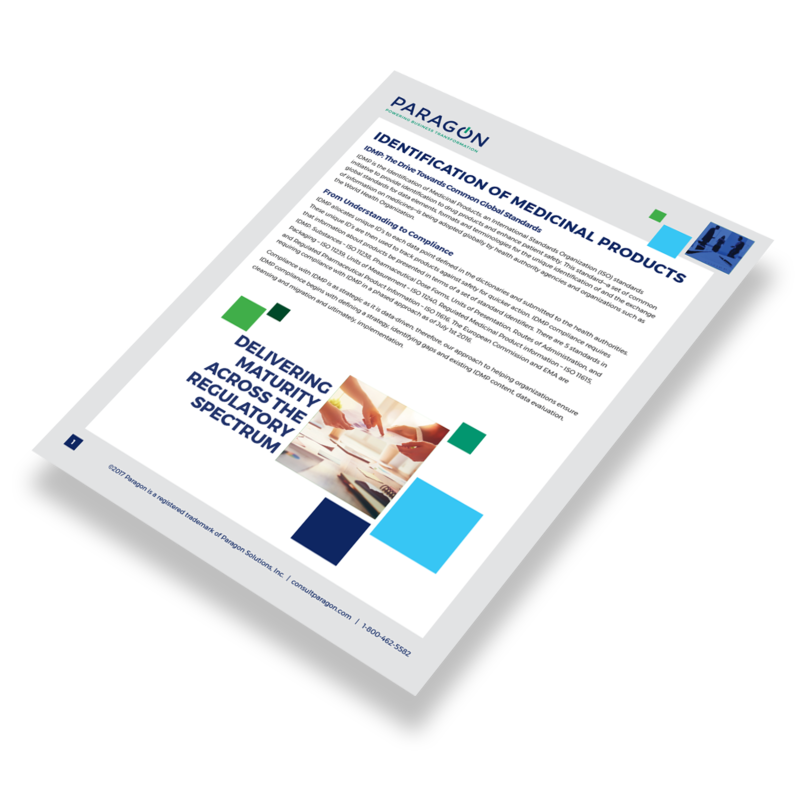 Paragon is leading consulting company focused on assisting health and life sciences companies become high-performing, compliant and digitally connected. 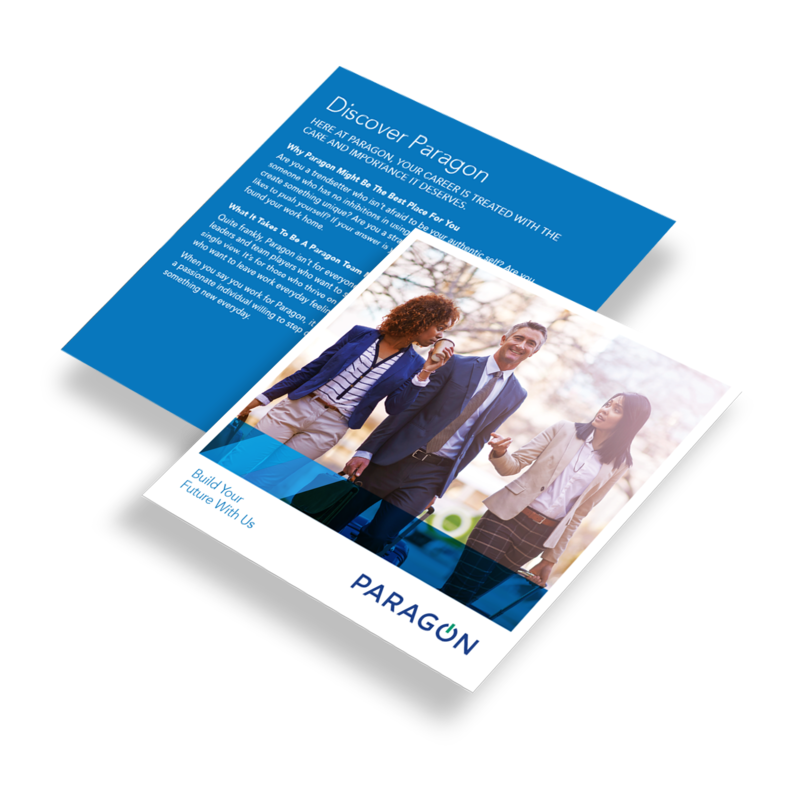 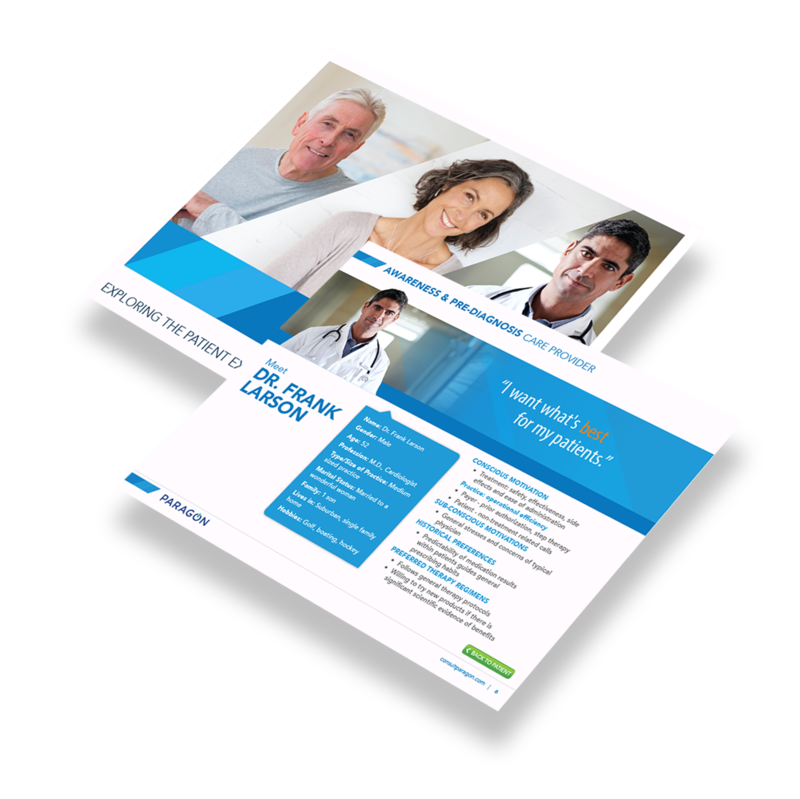 Understanding the importance of having an inclusive collection of branded marketing materials to tell their unique story and engage prospects, Paragon partnered with Next-Mark. 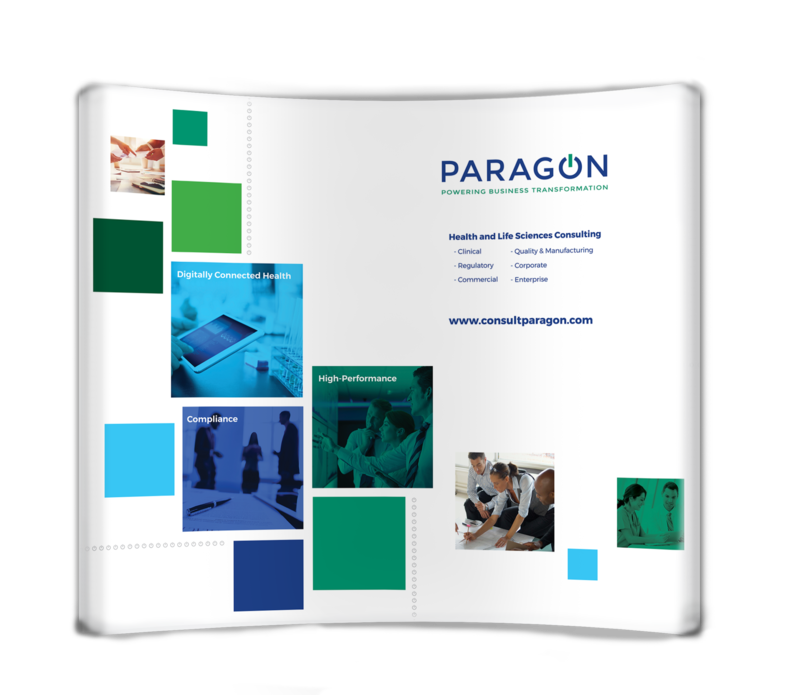 Next-Mark has since assisted Paragon in developing a revitalized brand direction for their field marketing materials as well as their client facing marketing collateral. 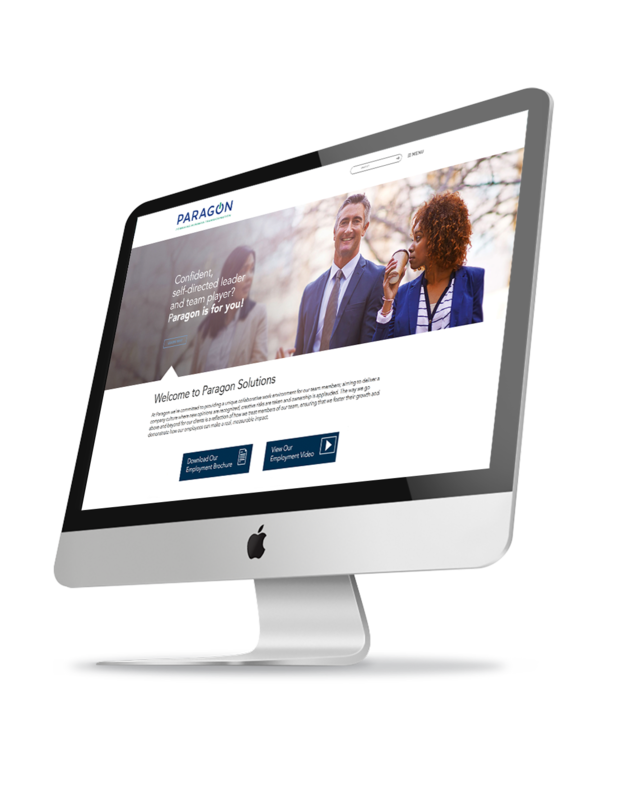 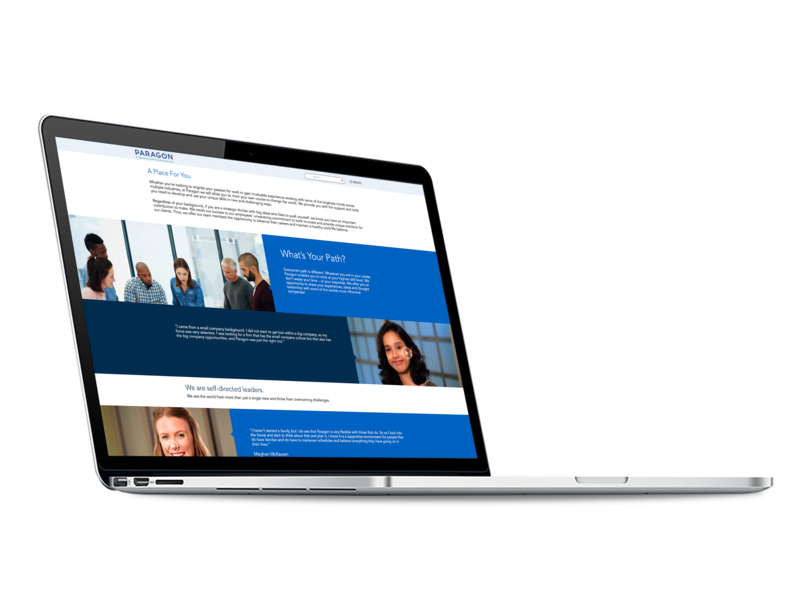 Next-Mark also aided in creating a clean web design for their employment microsite to help Paragon attract superior talent, and additionally conceptualized a comprehensive icon library for use on client materials.